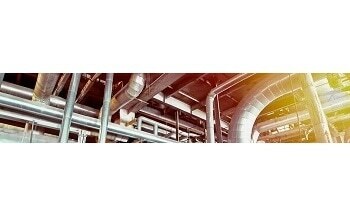 High quality A387 Grade 91 Class 2 - manufactured at some of the world's finest steel mills, this chrome-molybdenum alloy has excellent resistance to high working temperatures making it ideal for use in the oil, gas, chemical and power generation industry applications. Our plates can be supplied from our own stockholding or directly from the mill - all plates come with mill test certification and individual stampings. Third party testing can be arranged at the customers request. Masteel's range of ASTM / ASME A387 Grade 91 chromium-molybdenum alloy products are available in different grades listed in the following. The chromium and molybdenum contents of A387 Grade 91 chromium-molybdenum alloy (according to the ASTM specification) are outlined in the following table. The tensile requirements for A387 Grade 91 chromium-molybdenum alloy Class 2 Plates are listed in the following table. The chemical composition of A387 Grade 91 chromium-molybdenum alloy from heat and product analysis is summarised in the following table. Chemical Composition (%) inc. Grade & UNS No. The material shall be tested using a test specimen will confirm to the tensile requirements as outlined in tensile requirements for A387 Grade 91 chromium-molybdenum alloy Class 2 Plates above. 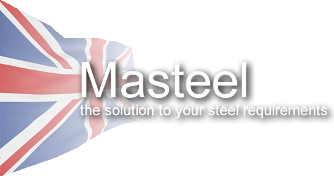 To find out more about Masteel's services and ASTM A387 Grade 91 Class 2 steel plates which we can supply directly to you please visit Masteel. This information has been sourced, reviewed and adapted from materials provided by Masteel UK Ltd.
For more information on this source, please visit Masteel UK Ltd.